When it comes to protecting yourself from a sunbeam, eyes should be your top priority. The right tactical sunglasses can be your best companion when it comes to giving your perfect shot in a tactical setting. They also provide you with great support in the outing. Tactical sunglasses come in a range of types and styles to fit with every situation and need. It keeps the sun out of your sight to improve your firing accuracy. It also blocks the distractions in the incidental field. You will get a large collection of the best tactical sunglasses from the most trusted brands. You have a lot to keep in mind while aiming your shot for example-UV rays, the dominant wind, weather outside, and distance from your target. Considering all these facts we are presenting 10 best tactical sunglasses before you. They all are committed to excellence in performance, style, and longevity. So that, you can feel confident with excellent experience. Within this guide, we’ll help you find out some feature which will assist you to choose the best one. Let’s get started! Oakley is committed to making the best and unique sunglasses. Gascan lenses cut from the curve of lenses and then mounted into the frame to maintain an original outline. Hard plastic frames ensure their stability in any weather condition. Oakley HD polarized lenses improving comfort and performance. They filter out 99% reflected glare that causes optical distortion. These lenses ensure that you will stay focused toward a peripheral vision. Oakley Gascanlenses offer HDO (High Definition Optics) technology with optical clarity visual fidelity and impact resistance. Oakley HDO technology meets the ANSI high velocity and high impact standards. Three-Point Fit feature holds lenses in precise alignment while eliminating pressure point connected with the frame. The lightweight and durable O-Matter stress-resistance material offer premium comfort. Its Plutonite lenses offer 100% filtering from UVA, UVB, UVC, and harmful blue light. Oakley sunglasses come at a convenient price for protective qualities, style, and durability. If you are trying to adjust with changes that happen frequently, then you need to be with changing the light. The new Oakley half jacket 2.0 continues the everlasting traditions with a slightly updated revision. It redesigns the width and fit while widening out the curved ear stems and confined hinge. Like other Oakley sunglasses, it also exceeds the ANSI standards with its HDO technology. Plutinite lenses block all harmful UVA, UVB, UBC, and blue light. 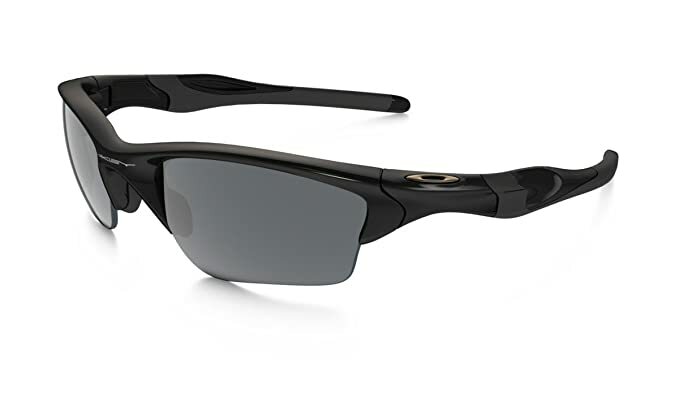 The Oakley Men Half Jacket Tactical Sunglass is made of a lightweight and flexible O-matter polycarbonate frame. It ensures comfort and durability with Three-Point Fit. These glasses are made for world-class athletes, those who are ready to face challenges anywhere. Each lens is polished with a hydrophobic treatment which prevents moisture build-up from sweat or water, fingerprints, and smudges from sunscreen. This extremely large sunglass gives you extra coverage in your eyesight. Half-jacket semi-rimless design with interchangeable lenses is prescription ready. They are tested under extreme circumstances to ensure the best protection from objects at varying speed. 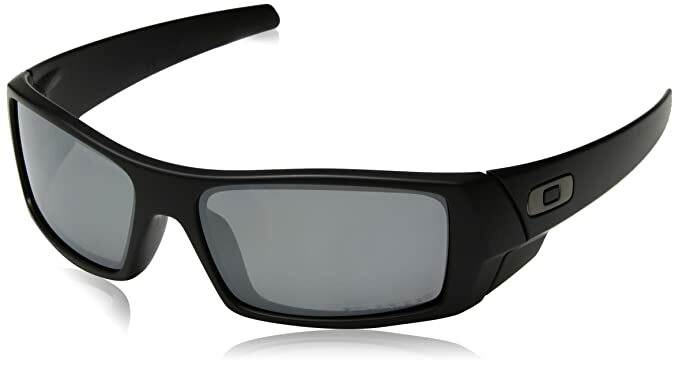 You can use these sports glasses in hunting, cycling, hiking, etc. you might be thinking that high-quality sunglasses are expensive for the brand. But, let me tell you they are very reasonable. American Optical is one of those brand favored by U.S Armed Forces. Because of its performance and durability, it has been issued to millions of soldiers, marines, sailors, and airman since 1958. 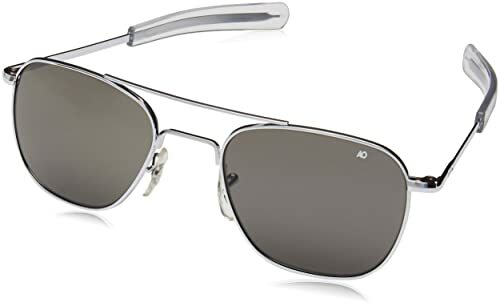 From engineers to military specs AO original pilot eyewear has been favorite of U.S military pilots over four decades. 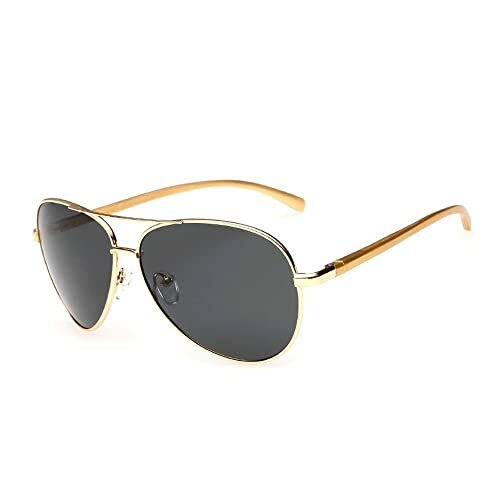 These classy sunglasses is famous for its sturdy structure and high-quality finishing. A steel alloy frame coupled with a true color glass lenses makes it more efficient. These distortion-free and polished lenses made the AO original pilot sunglasses best of all time. Your eyesight will always in place while you are out hunting. They are always up to provide maximum protection, comfort, and optical performance. Both polarized and non-polarized lenses are available. The AO classic aviator shades are perfect for daily wear even in brightest days. These cool glasses from AO are the real deal for anyone. The price is very low compared to other. So, enjoy your outing with a dashing retro look. BNUS bring a market leading the design of fashion and sports eyewear within everyone’s budget. This highly technical and stylish sunglasses absorb 85% of visible light and most of the blue light. BNUS sunglasses uses natural glass lenses that are scratch resistance than comparable plastics. It ensures better clarity of vision by blocking the sun and making you see less. This real glass lens comes with remarkable color contrast consist of several layers coating. The first Nano-anti oil easy to clean coating prevents water blurred for clear vision. Second multi-layer reflection reduction coating reduces the reflection to improve clarity for safe driving. Third corning glass lenses are the ideal color for visual comfort. Then 0.03mm polarizing film filter out glare. Finally, another corning UV400 lenses ensure high performance by blocking UV rays. 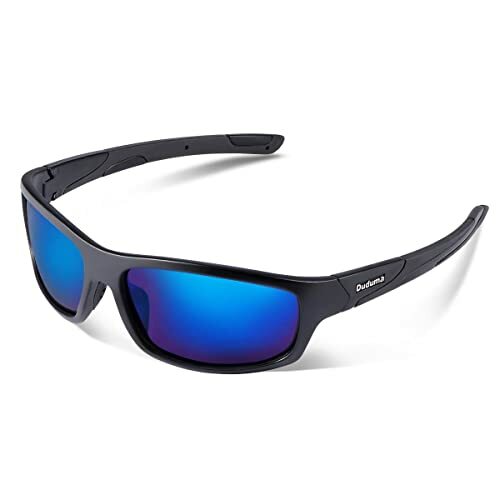 The BNUS high-quality sunglasses are a critical necessity for sports, diving, fishing, and everyday uses. BNUS never use scratch mirror coating at lenses. They give you scratch free experience and glare protection to provide you with an active lifestyle. Its glare-free HD polarized lenses reveal the real color of an environment. This is done by improving 75% of red, yellow, green color contrast sensitivity. This stylish eyewear offers strong protection against high-velocity and high-impact mass. The most interesting part of these glasses is the price. You don’t have to worry about your budget. You may order several pieces for your near one as they are very cheap among all. 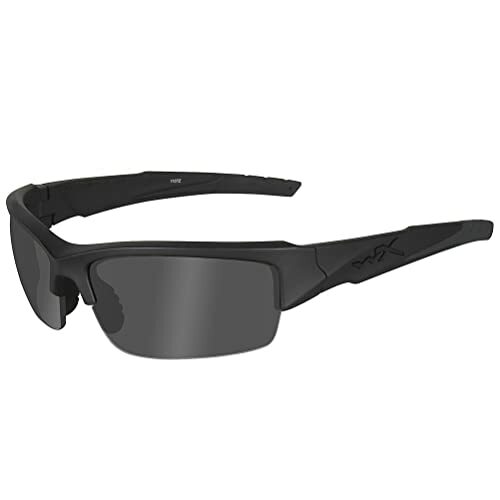 Wiley X Valor sunglasses feature a glossy wrap design and interchangeable lenses. With these tough-yet-light sunglasses bring the power of military home. Its semi-rimless frame made from heat resistant plastic that is ballistics standard rated. Wiley’s composite lenses use interchangeable technology that allows most light versatility. You can easily change the lens according to the environment. Lenses are also shatterproof that meets ANSI standards and OSHA grade occupational protect standards. They provide 100% UV protection by blocking sunlight. Because of its non-slip nose pad, they fit well in your face. These smooth and stylish frames are modest and come in a variety of color. Valor sunglasses provide extra Wiley X protective case with cleaning cloth. They meet the military specifications as battle protective eyewear. Wiley X Valor suits for men’s larger head. You may wear them for longer without having a headache. The price is very reasonable so go get your one! Oakley engineering is taking the performance of old boring sunglasses to the next level. They bring style along with the ride by leaving behind the conventional ideas of industry standards. Flak 2.0 edition offers a standard size frame with enhanced lens coverage. Every millimeter of tangential view, developed with high definition optics in a durable and lightweight design. Its base lens curvature protect against sun and wind impact. Oakley created an array of lenses or frames so you can choose from a huge option. It includes balanced light transmission of iridium, the glare-cutting power of HD polarized optics and Prizm lens technology. Prizm technology is a revolution in lens optics that provide exceptional control of light transmission. It precisely tunes the vision of lens in to maximize contrast and enhance visibility. Oakley has designed to push your limit with patented XYZ optics. It maintains sharp clarity and secure grip of Unobtainium. Like other Oakley sunglasses, this collection also comes at a good price. It is worth the money to spend on a quality product of Oakley. J+S Premium Ultra Sleek brings an authentic sunglasses that protect your eyes without compromising on style, comfort, and safety. Its high-quality golden frame with sturdy legs is ultra-lightweight yet strong. It comes with an adjustable nose pad and a spring-loaded hinge that allow flexibility and maximum comfort. 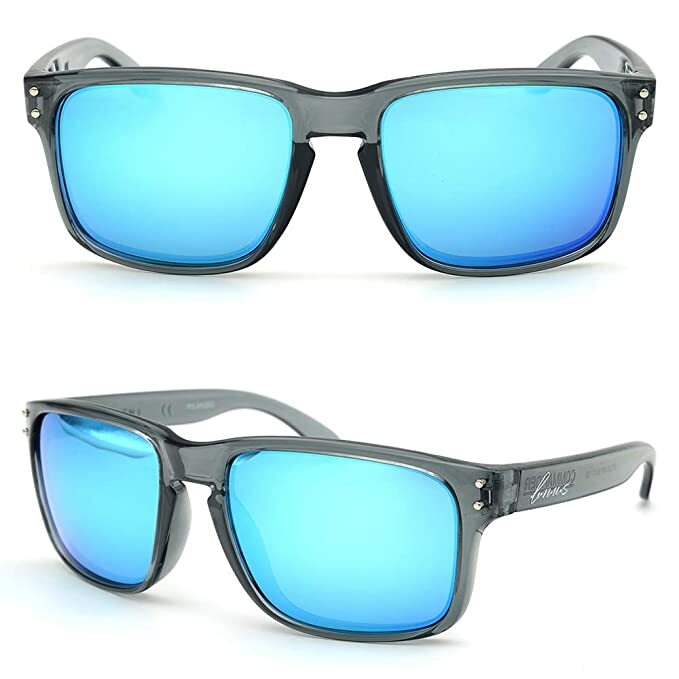 Its multi-layer polarized lens designed to filter and block over 99.96% glare. A vertically oriented filter is embedded in the lens that provides maximum comfort and visibility. These lenses are scratch resistance, distortion-free, lightweight, tough, and gives clear vision. All these quality of lenses make it best choice for outdoor and water sports activity. Also, J+S lenses are UV400 rated which means they block 99-100% UVA and UVB radiation. They keep your eyes healthy by protecting them from UV damages. Above all, we can conclude that J+S sunglasses are the perfect all-rounder. It is a perfect choice for outdoor sports and activities — for example; driving, fishing, skiing, hiking, traveling, boating, and many more. These classic unisex glasses are a perfect gift for your dear one who is fashion conscious. Well, the most interesting thing is that it is 100% risk-free because of its low price. You can try this out. Duduma combines the best performance eyewear with versatile style. Duduma sports glasses are ideal for men and women with its clear and lightweight design. Discover the differences of Duduma with its super light and solid DU645 frame. These bendable frames are made of flexible material. It will return to the original shape after being bent. Duduma HD polarized lens provides 100% UV protection. It filters out 99% reflected glare without optical distortion. It also blocks UVA/UVB/UVC rays and harmful blue light and gives you superior visual experience. The combination of ultra-lightness with advanced design technology and exclusive materials makes it more superior in the market. It gives you ultimate protection from wind and dust whether for running, skiing, cycling, snowboarding, hiking, fishing, sporting, driving and any other activities. The price is also within your budget. So, go check them. Oakley is always up-to-date to bring revolutionary glasses like all the time. Though it brings top most quality glasses with a good price, this one is reasonable among all. Oakley Ballistic M frame includes three shields of the pure Plutinite composite lens. The grey lens controls reflection and transmission where the VR28 lenses provide an optical shield for low light shooting. POLARIC ELLIPSOID geometry maintains the clear vision to keep your focus on the bullseye. Its attached low profile nose-pad and Unobtainium ear socks won’t disturb your field of view. Oakley lenses with HDO technology offer clarity, refraction, and 100% UV protection. Its three-point fit holds the lens in perfect alignment. If you are addicted to brand product, then Oakley might be your best friend. 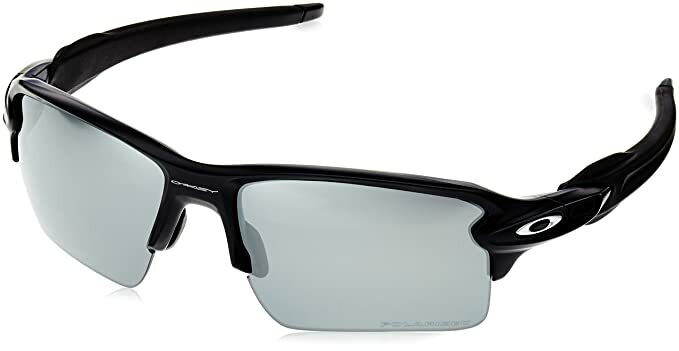 Compared to other Oakley ballistic M frame glasses are reasonable. Check them out before stock expires. Need to clean lens frequently that absorb the dust and particles. ESS brings first parade suppressor frame ever. 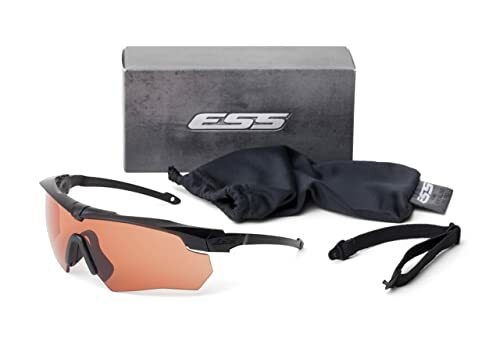 ESS eyewear designed for use with ear cup hearing protection and communication devices. Z-bend geometry frames with ultra-thin arms help keep the noise out. They eliminate the pressure points that occur in normal eyewear. The Suppressor frame comes with attached Crossbow lenses. Crossbow polycarbonate lenses feature distortion-free ESSOPTICS and CkearZoneFlowCoat technology. This technology fight overcomes fogging on the inside and scratches on the outside. The Crossbow Suppressors includes two assembled shield. A black Crossbow Suppressors with an interchangeable Hi-Def lens and a clear lens with Tr-Tech fit frames. It also includes Micro-fiber pouch, Snap-on elastic retention strap, and ESS sticker. All these features provide a universal fit. Ess Crossbow suppressor eyewear meets ANSI Z87.1+, Federal OSHA standards. It provides UVA/UVB protection. This premium sunglasses with overhearing protection is a must try for anyone. Also, the price is reasonable. We have tried to make it easier for you by narrowing down your choice. I think we did it successfully. But you need to keep in mind about the type and material used in lenses. If the lens breaks easily, then there is no good reason to choose them for daily use. Because you are taking these glasses out, so, it needs to be durable and long-lasting. Checking the list more carefully, find the right choice for you from these exceptional brands and styles. If you have a question or inquiry, we would be happy to answer them.